Organized jointly by Languages in a Network of European Excellence (LINEE) and the integrated project DYLAN of the European Commission's 6th Framework Programme for Research and Development. With an increased awareness of international globalisation and European integration, the existing mainstream conceptualizations of multilingualism and linguistic diversity have been increasingly questioned, in particular within the humanities and the social sciences. In a EU context of socio-political transition it is therefore a challenge to take stock of the existing disciplinary knowledge, and to reassess it against the background of the ongoing integration process which goes along with the transformation of traditional linguistic and cultural patterns. Read more at http://linguistlist.org/issues/20/20-3290.html. The successful applicant is expected to investigate a problem within the research area of language-based area studies in Russia, the Balkans, or Central Europe. The project description must include a discussion of the choice of method (e.g. discourse analysis). Research projects based on material in Slavic languages are given preference. Applicants must hold either a Norwegian doctoral degree or an equivalent degree in an academic area that is relevant to the proposed project. The post-doctoral research fellowship is for a period of 4 years, with a 25% duty component devoted to teaching and acquiring basic pedagogical competency. Applicants must submit a project proposal of a maximum of 10 pages, including a schedule of activities. It is expected that the project will be completed within the 4-year period. Doctoral dissertation must be submitted for evaluation by the closing date. The main purpose of post-doctoral research fellowships is to qualify researchers for work in senior academic positions within their disciplines. We are looking for strongly motivated and competent candidates, with high academic qualifications in the relevant area of research. The successful applicant will be expected to become involved with existing research groups at the Faculty of Humanities and to contribute to the further development of the scholarly community. Short-listed applicants will be called in to an interview at the University of Oslo. They may also be asked to give a lecture for graduate students on a topic chosen by the evaluation committee. The University of Oslo has a goal of recruiting more women in academic positions. Women are encouraged to apply. The University of Oslo also has a goal of recruiting more foreigners to Norway in academic positions. Immigrants are encouraged to apply. Research Director Antin Rydning, +47 22 85 68 32, https://webmail.ucalgary.ca/src/compose.php?send_to=a.f.rydning%40ilos.uio.no. 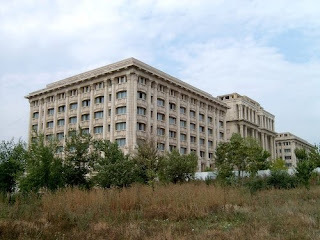 Institute for Interdisciplinary Studies "Artes Liberales"
The interdisciplinary Commission of Balkan Historical and Cultural Studies is affiliated with the International Committee of Slavists (ICS). Its international membership consists of an anthropologist, an historian of ideas, an historian of literature, linguists and an historian of culture. Our first research project is The Image of Russia in the Balkans. Semantics. Ideologems. Mythologems. Historical and Cultural Contacts and Connections. The outcomes of our research will be published in a series of edited volumes. The first volume entitled The Semantics of Russia in the Balkans will be published in 2010 by the Warsaw University Press. It contains contributions in Polish and English by researchers from Poland (Jolanta Sujecka, Kazimierz Jurczak, Maciej Falski, Adam Kola), Greece (Aleksandra Ioannidou), Bulgaria (Nikolay Aretov), Macedonia (Valentina Mironska-Hristova), Albania (Rigels Halili) and Russia/Czech Republic (Marija Kuglerova). The second volume - The Image of Russia in the Balkans - will feature contributions by researchers from Albania, Bulgaria, Germany, Greece, Macedonia, Poland, Romania and Serbia and is scheduled to appear in English in 2013. In preparation of the second volume the Commission of Balkan Historical and Cultural Studies is planning a work session. This interdisciplinary conference, organized by the International Higher Education Academy of Sciences (Russia), the Nevsky Institute of Language and Culture (Russia) and Uniwersytet Warmińsko-Mazurski in Olsztyn (Poland), will take place in St. Petersburg on 25-26 August 2010. Working languages of the conference are Russian and English. If you wish to participate, send by 25 September 2009 the following information: first and last name, affiliation, position, degree, phone number, email address, country of residence, mailing address with postal code and title of the proposed paper to stereotipy2010@mail.ru. Contact person: Шайдуров Владимир Николаевич, phone (7-812) 230-38-08. The international conference Die Revolutionen von 1989, organized by the Austrian Academy of Sciences, will take place in Vienna on 1-3 October 2009. Panel 3 (1 October 2009, 4:30-6:30 pm) contains presentations on Southeastern Europe by Vesna Pešić, a Serbian politician, one of the leaders of the opposition movement in Serbia (on Yugoslavia), Ulf Brunnbauer, a historian from the University of Regensburg (on Bulgaria) and Anneli Ute Gabanyi, a political scientist from the German Institute for International and Security Affairs in Berlin (on Romania). This new theory-driven sociolinguistic monography by Ivana Vučina Simović (University of Kragujevac) and Jelena Filipović (University of Belgrade) studies language shift in the Belgrade Sephardic community on the basis of language data from seven consecutive generations. The Belgrade Sephardic community was exterminated in 1941 when Yugoslavia was invaded by Nazi Germany. Zala Volčič. Television in the Balkans: The Rise of Commercial Nationalism. In: Graeme Turner & Jinna Tay (eds.). Television Studies After TV: Understanding Television in the Post-Broadcast Era. Florence, Kentucky and Abingdon, Oxon: Routledge, 2009, 115-123. Wendy Bracewell & Alex Drace-Francis (eds.). Balkan Departures: Travel Writing from Southeastern Europe. Oxford, New York: Berghahn Books, 2009. Laura Ceia-Minjares. Balkan Exotic: The Francophone Birth and Rebirth of a Nation According to Panait Istrati and Marius Daniel Popesco. Contemporary French and Francophone Studies, 13/2, 2009, 191-199. Ognyan Kovachev. A Romance of the Balkans: Literary Mystification and the Bulgarian Nation-imagining. Slavia, 78/1-2, 2009, 23-32. Xenakis, Sappho (2009) Resisting submission? The obstinacy of "Balkan" characteristics in Greece as dissidence against "The West". In: Cheliotis, Leonidas, (ed.) The banality of good: roots, rites and sites of resistance. Palgrave Macmillan, Basingstoke, UK. The 17th Balkan and South Slavic Linguistics, Literature and Folklore Conference will take place at The Ohio State University in Columbus, Ohio, USA, April 15-18, 2010. The conference will feature the Kenneth E. Naylor Memorial Lecture in South Slavic Linguistics on Friday April 16. This year's Naylor Lecturer will be Eric P. Hamp, Professor Emeritus from the University of Chicago. The conference will also be held concurrently with the Midwest Slavic Conference. The conference organizers are now accepting proposals for papers that treat some aspect of Balkan and/or South Slavic linguistics, folklore, film studies, literature or culture. Abstracts should be maximum one page, including examples and bibliography if needed (12-point font, at least 1" margins). Abstracts should be anonymous.Abstracts should be submitted, in PDF format, by email to Andrea Sims. The paper title, author name(s), affiliation(s), and contact information should be given in the body of the email. Questions about the conference may be directed to Brian Joseph (joseph.1@osu.edu) or Andrea Sims (sims.120@osu.edu). .yu (as well .su of Soviet Union) are being phased out. Interpretations: European Research Project for Poetics and Hermeneutics. Volume III: Црна Арапина како фигура на меморија (Black Arab as a Figure of Memory). 2009. For a table of contents and English-language abstracts of the contributions click here. The project was noticed in the media. See for instance Politika Online. Adam Werle. Word, Phrase, and Clitic Prosody in Bosnian, Serbian, and Croatian. CreateSpace, 2009. For an abstract see Linguist List.